Renault has found a winner in its Kwid. The SUV-shaped hatchback that was unveiled in May last year has done superbly well in India wth bookings having crossed the 85,000 mark. Renault launched the Kwid in India with an introductory price starting at Rs. 2.57 lakh (ex-showroom Delhi). The company is now set to debut a powerful 1.0-liter variant of the hatchback at the Delhi Auto Expo next month. Reports suggest that Renault has already begun production of the 1.0-liter variant and has exported several units of the same to overseas market including Germany. 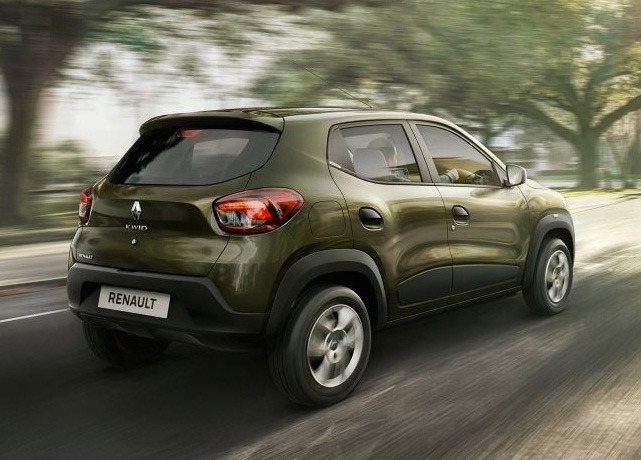 The Kwid is also rumored to come in an AMT version along with the 1.0-liter variant. Both the versions will go on display at the Auto Expo. While the current Kwid comes with 799cc three-cylinder petrol motor which can churn out 53.2bhp at 5,678 rpm and a peak torque of 72Nm, the upcoming models are expected to get a 1.0-litre motor that will be able to churn out close to 75bhp. Furthermore, Renault is also expected to offer dual airbags and ABS across all Kwid models, starting from the base variant. The pricing of the 1.0 variant hasn’t been revealed yet, but we expect the starting price to be somewhere around Rs 3 lakh. We’ll know more when the hatchback is unveiled next month.